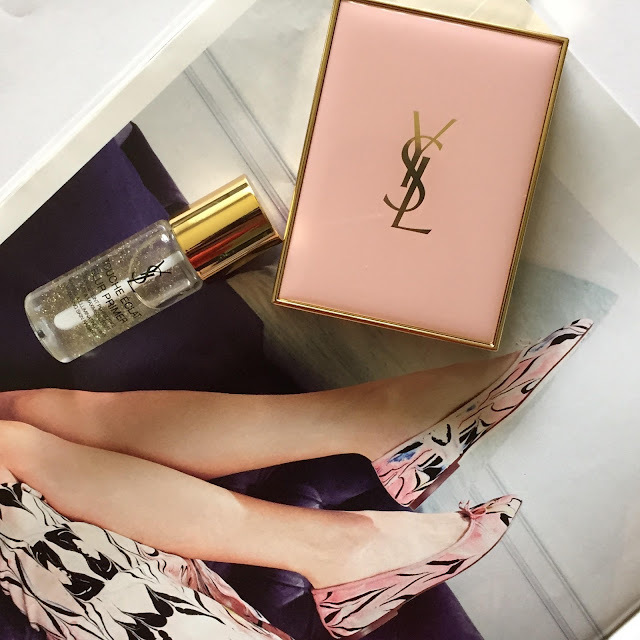 Whenever I get a voxbox from Influenster in the mail, I'm always excited but to receive a second YSL voxbox?! Amazing! Earlier this year in April, I received the False Lash Effect mascara so I defiantly wasn't expecting to get another one. I couldn't wait to test out the products and it certainty didn't disappoint. 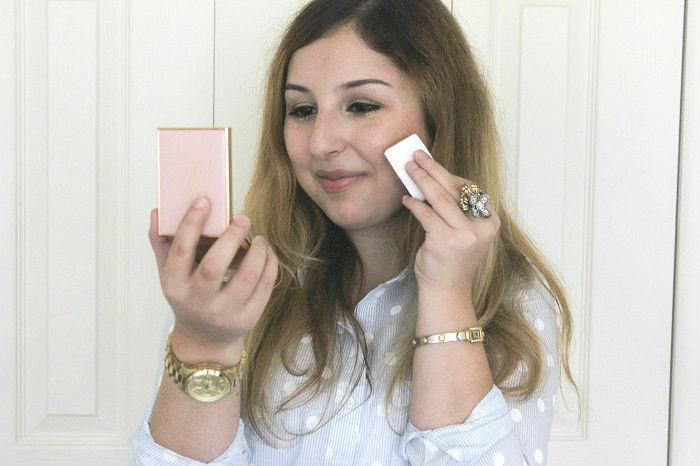 The voxbox contained the Touche Eclat Blur Primer and the Touche Eclat Blur Perfector. 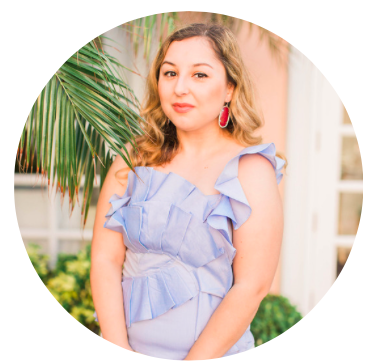 If you'd like to receive full-size products like this from Influenster then I highly recommend joining here and to connect your Facebook account to get started! 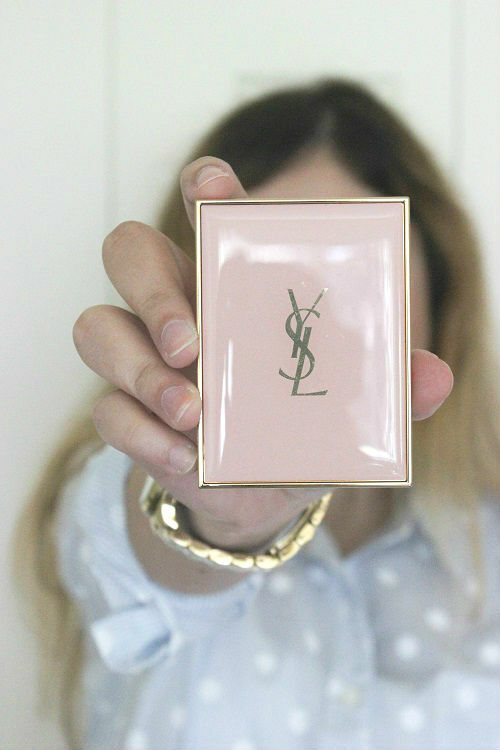 As always, the packaging on YSL cosmetics is luxurious and gorgeous and what I loved about this compact is that it doesn't stain or scratch because of it's unique material. The perfector on the other-hand is small enough to put in your bag but also big enough so you won't run out quickly. As far as primers go, I usually only use them for special occasions when I'm wearing heavy makeup that needs to last the whole night. For the sake of this review though, I tested it out everyday for one week to see how long it would last. First I tried the blur perfector which I applied before my foundation and it went on smoothly and made my skin feel incredibly soft without any weight. One of the biggest differences I've noticed with this primer is that it hide my pores and small bumps around my eyes and nose while taking away the shine that's usually around those areas! 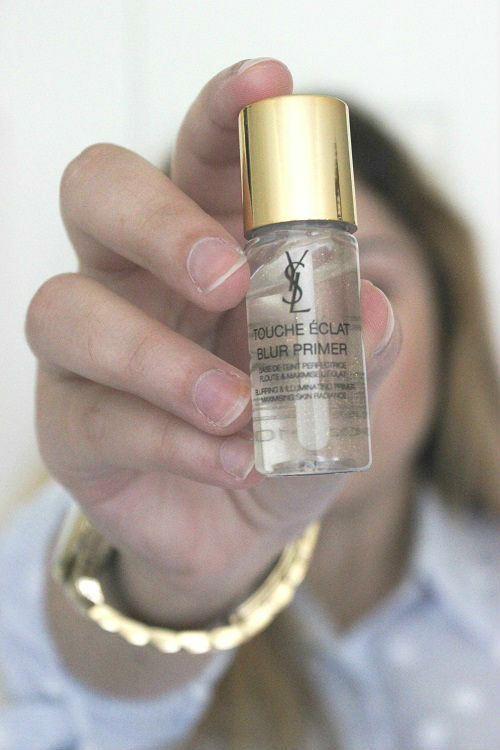 As for the blur primer, I was hesitant to try it since you can clearly see all that glitter in the bottle! Surprisingly, it doesn't show up on your skin at all yet makes your skin look more glowy and that lit from within feel that you usually get from highlighters. I wish I could've captured it on camera yet it's impossible to! I used this as a touch up during the day and it instantly goes from a balm to powder as you rub it into your skin. I would say this is perfect if you're someone on the go! As for longevity, both products kept my makeup in place and didn't fade away for a good 6-7 hours. Not bad at all! YSL never seems to do wrong. Those products look amazing I wish I could have received that in my voxbox lol! I got the maybelline foundation and its not my skin tone at all haha, my luck lol! The packaging is so gorgeous on both products I would love to try both out! Great pics of course!!! oh I can't wait to try these now! YSL never does any wrong!